Dark. Desireable. Delicious. 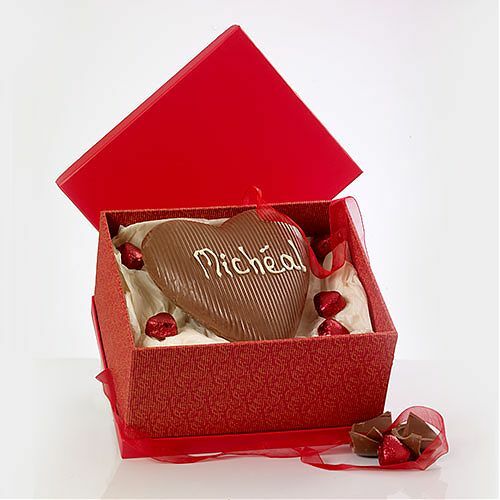 Quite possibly your Dad but definately our luxurious Handmade Dark Chocolate Heart, made with 70% cocoa solids, with a handsomely thick shell and chocolate that snaps beautifully. Also contains a box of 4 'melt in the mouth' handmade chocolates.